A unique twist on a traditional hummus recipe! 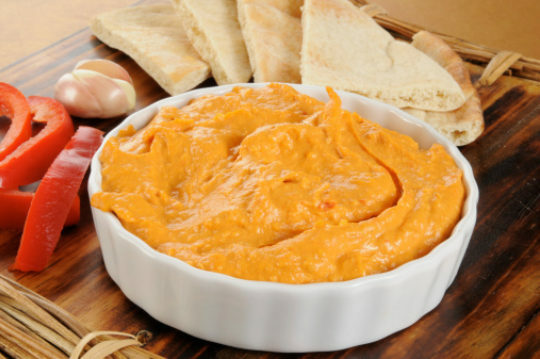 Enjoy this delicious and healthy Sweet Potato Hummus recipe with friends and family. They'll be sure to enjoy the combination of red peppers, sweet potatoes and fresh garlic. In a food processor, puree the sweet potato, roasted red peppers, lemon juice, garlic, cumin, cayenne and salt. Process mixture until it is fairly smooth. Sprinkle sweet potato hummus with chopped parsley before serving.